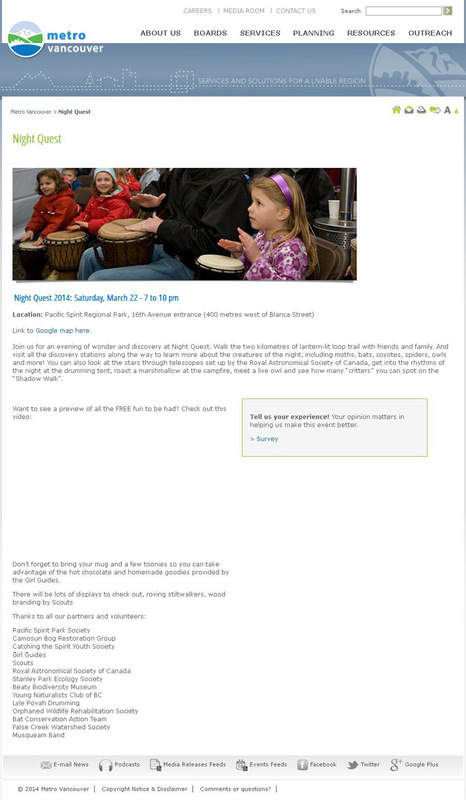 Night Quest evening tomorrow! | Welcome to Wreck Beach! Judy Williams, the leader of WBPS is having a booth for story telling and free face painting. Entirely free except for food and drink. Drumming, stilt-walking, fire-branding, and much more!